The elevated pet beds, with cozy pillows and luxe fabrics, double as handsome furniture. 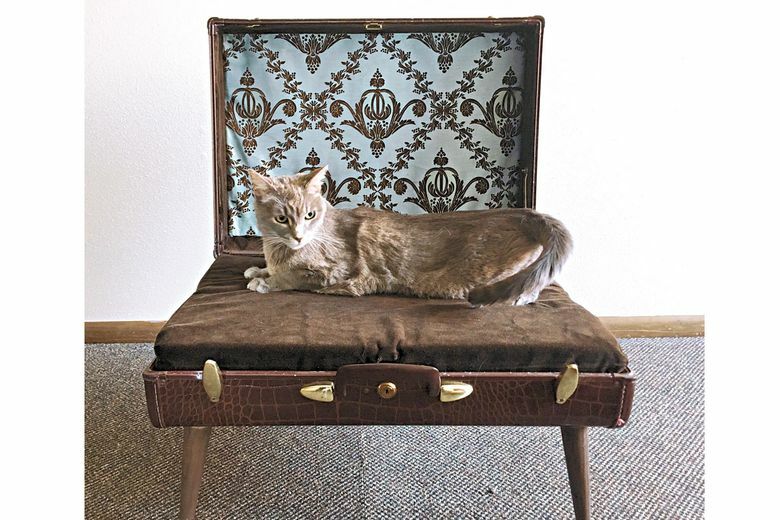 Create a cozy spot for the cat or dog that’s going places with Pampered Pet Beds: Urban Luggage. Billed as “lounging luggage for your furry friends,” the brand-new collection of elegant pet beds is handmade from upcycled vintage luggage. Seattle artists Heidi and Keegan Klipp of Ravenglass Productions find and refurbish each case, adding soft, cozy pillows and coordinating fabrics such as luxurious velvet brocade or a glow-in-the dark skull pattern. Beds come with removable 4- or 8-inch legs to create an elevated nest that doubles as handsome furniture to complement your décor. $75–$175; custom beds start at $150. Visit ravenglass-productions.com for more information.